Meet Molly Brown, Calamity Jane, Mother Cabrini, Amelia Earhart, Emily Griffith, Katherine Lee Bates and other courageous and fascinating women whose lives became a part of the lore of the West! Let us bring our presentation of unique women of the past to your organization, school, or club. 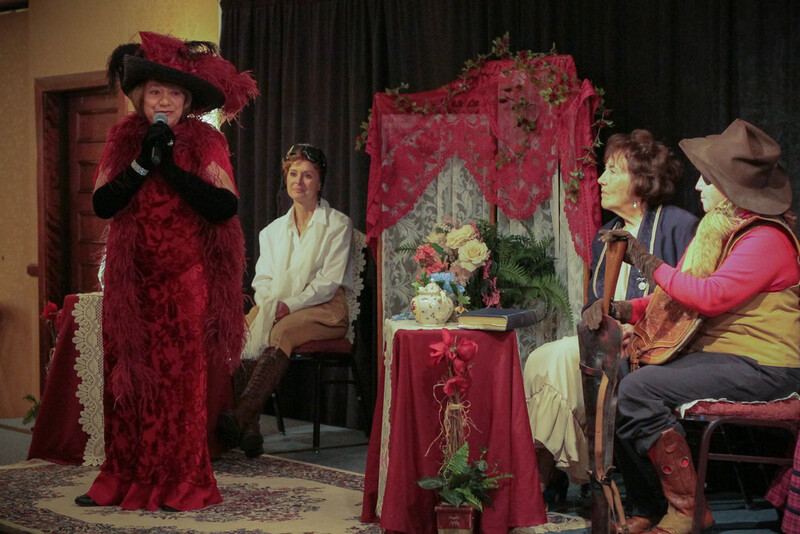 The Legendary Ladies can present Unconventional Women of the West in a variety of settings. Shows may be 30, 45 or 60 minutes or we can design a show to suit your organization's needs. Performances will feature from 4 to 6 characters depending on the length of the show. "What a unique and innovative show." "I never knew history could be so fun!" "We can't wait until the next show." "The best entertainment we've ever had for our annual meeting." "A wonderful way to showcase the role of women in American history."